Christmas time should be a time to fill our homes with the sights and smells of the season. Putting up lights and hanging Christmas decorations make it easy to have beautiful things to see, but how do you fill your home with the wonderful scents of Christmas? This article will give you quick and easy ways you can add DIY Christmas scents to your home. So don’t be afraid to host your friends and family this Christmas season, because your house is going to smell great! If you have guests coming over for dinner, don’t forget to leave a burner on the stove free for a simmer pot. 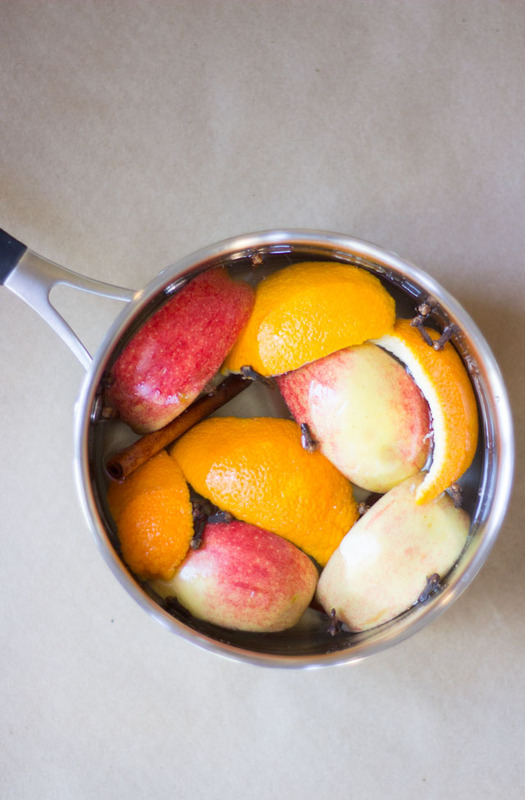 Making a simmer pot is an easy way to add great Christmas scents to your home. Simply fill a pot with a little bit of water and your favorite aromatics. The possibilities of your simmer pot are practically endless. Oranges, cinnamon sticks, apple slices, cranberries, and cloves are all great additions to your pot. Mix and match them in any combination you like. In no time at all your home will begin to fill with the delicious smell of simmering fruit. Keep an eye on your pot and add more water as it evaporates. Another way to add Christmas scents to your home is with fresh greenery. The smell of pine will add a fresh smell and a feeling of life into your home. Adding live greenery to your home can be as simple as cutting down a fresh Christmas tree. There is nothing better than a freshly cut pine tree in your living room. If you prefer an artificial tree than consider a live sage wreath on your door or a fresh cedar garland on the mantle instead. Adding fresh greenery to your home will not only smell good, but it will look great! For Christmas scents that will last all season long, consider making your own potpourri. Your Christmas potpourri will use many of the same aromatics as your simmer pot. First thing to do is thinly slice apples, and oranges. Place them in a single layer on a baking sheet. Heat your oven to 250 and bake for 1-2 hours. Once your fruit is dry you can add lots of spices like cinnamon, clove or star anise to your dried fruit. Then place them in a decorative bowl to display all season long. Your potpourri should last a few weeks. For an easy potpourri, all you need to do is fill a large decorative bowl with pine cones. You can buy scented pine cones from any craft store. Or you can spritz them with your favorite essential oils for fragrance all Christmas season. For an old fashioned Christmas tree you can incorporate some of these great smelling Christmas ornaments. These ornaments may look and smell great, but they won’t taste good! This dough is made from cinnamon, applesauce and white school glue. Combine all three ingredients until you have a dough. Cut out your shapes and bake them on a cookie sheet on low heat for around 4 hours. Next, all that is left to do is decorate them with some fabric paint and Voila! 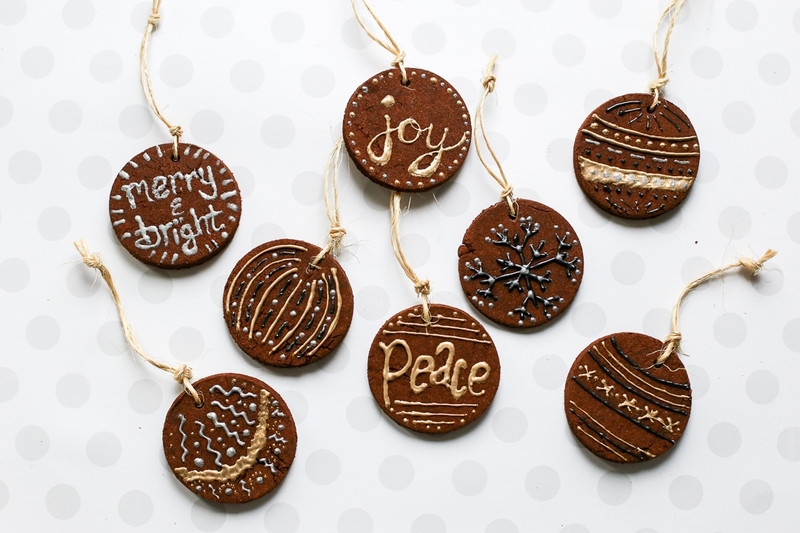 You will have delicious smelling ornaments all season long. The last way to fill your home with Christmas scents is to do some holiday baking! This method may be the easiest and best way for you to truly get to enjoy Christmas scents. My personal favorite scent is gingerbread. However, the smell of any cookie or sweet bread is sure to have everyone’s mouth watering in no time! Adding Christmas scents into your home this season is a great and easy way to make your home feel a little more festive. 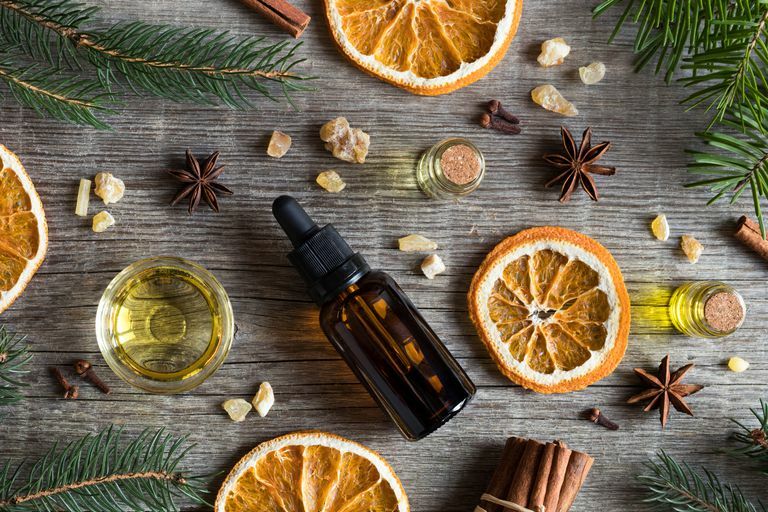 Aromatics are a great way to add relaxation to this busy time of the year. So while our flower gardens have been put to sleep for the winter, rely on these beautiful Christmas scents to hold you over until next spring.